Hi guys! I’m Rachelle from pinksole.com, I live in South Florida and it is a MAJOR vacation hot spot. If you are heading to Miami, you can expect tons of sunshine, clear blue skies and pretty beaches that are perfect for a dip or just to work on your tan. It is extremely hot here, so pack accordingly. A light dress that can easily be dressed up or down, always bring a cardigan as most establishments will have the AC low because of the warm temperatures outside. Trust me do not wear anything with a high neck or long sleeves. I’m pretty sure they will be a lot of walking involved, so bring comfy sandals to do so in style. 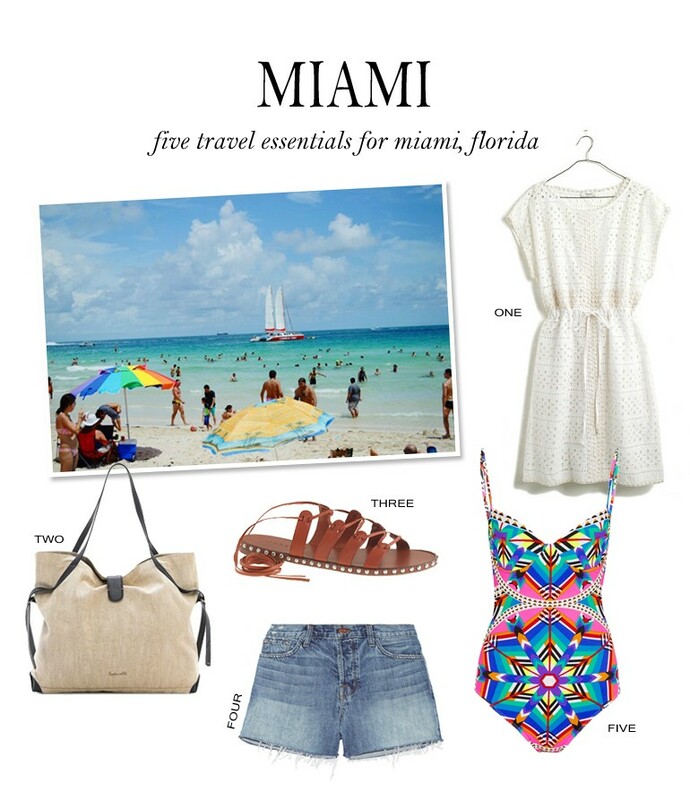 Short shorts are a staple in Miami, so pack your cutest tanks and tees to mix and match. That’s really a no brainer; the beach will be packed so with an awesome bathing suit like this one, you will be a show stopper. Last but not least bring a beach bag to hold your water (always have a bottle with you to stay hydrated), snacks, and more. Thank you so much Jessica for having me and thank you guys for reading. A Floridian for most of my life, I was excited to experience a real “up north” spring during my first year of college. Unfortunately, Boston ended up having an abnormally long winter this year and we still had some snow in late April. But, just when I thought spring was a myth, the city started to bloom. The grass was green again, the flowers were opening, and I even spotted some baby rabbits in the park. While I missed out on enjoying most of spring this year, I took every opportunity to get outside and explore the city before I left. 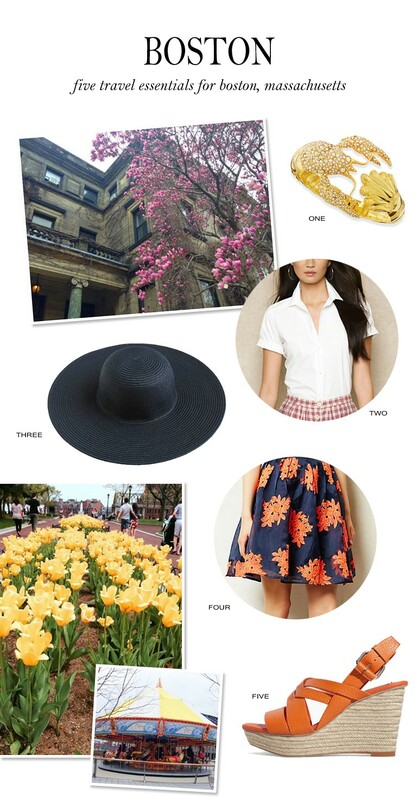 Whether admiring the foliage at the Boston Public Garden, eating a lobstah roll al fresco in the North End, or riding the Greenway Carousel by the Boston Harbor, this outfit is perfect for exploring the best seasonal sights that Boston has to offer. Tallinn, the capital of Estonia is small but beautiful city with a intact medieval Old Town and rich history. Tallinn has everything you can want in a city break. Spend a weekend getting lost in the winding cobblestone streets built in the 14th century. Have lunch in one of the cozy courtyard cafes you will definitely stumble upon. Go for a drink at one of the funky hipster spots in reworked industrial areas or choose a delicious fine dining restaurant. Jacket: Evenings will get chilly in Tallinn and after spending a day flowing around in pastels adding a bit of edge to your outfit will immediately make the outfit different. Bag: The less stuff you have the better. This pretty cross body bag will leave your hands free but fit all the daily necessities. Dress: Walking in the Old Town sometimes feels like a fairytale or a movie set so wearing a sweeping maxi is both suitable and comfortable. Jewelry: This “Fangs” necklace is delicate but with an attitude. The rock crystal necklace would look perfect paired with the maxi dress. Shoes: Cobblestones and heels don’t make a good match, so pack your flats. We leave for Brussels this afternoon! Now that the pre-vacation stress of getting caught up on everything at home and work has subsided, I can finally revel in ten days of European bliss. 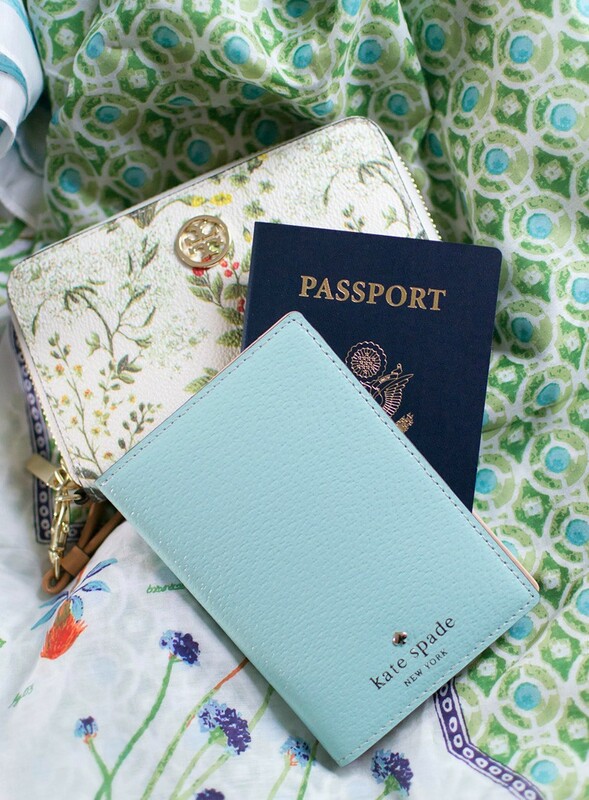 I’m keeping my personal item on the plane light with just the essentials (scarf, passport, ear plugs and melatonin), but you can peek into the rest of my must-haves—jewelry included—over at Julie Leah’s blog. Things won’t be dull here, though. Nine incredible ladies put together a list of their packing essentials for vacations abroad and in the U.S. I hope it inspires you to starting planning your next getaway! Collecting souvenirs is one of my guiltiest pleasures. I just can’t resist a little tchotchke (or three) to commemorate a special getaway, but my favorite way to relive vacation memories is actually through scent. Sometimes the aroma presents itself through a briny ocean or a crackling fire. Other times, I’m more intentional about my approach with a new fragrance to use on the trip. One of my favorites is a sea salt-infused crisp scent by Pucci I wore to Fort Lauderdale on my first vacation with Dave. It has since been discontinued and I can’t bear to use the last few spritzes. 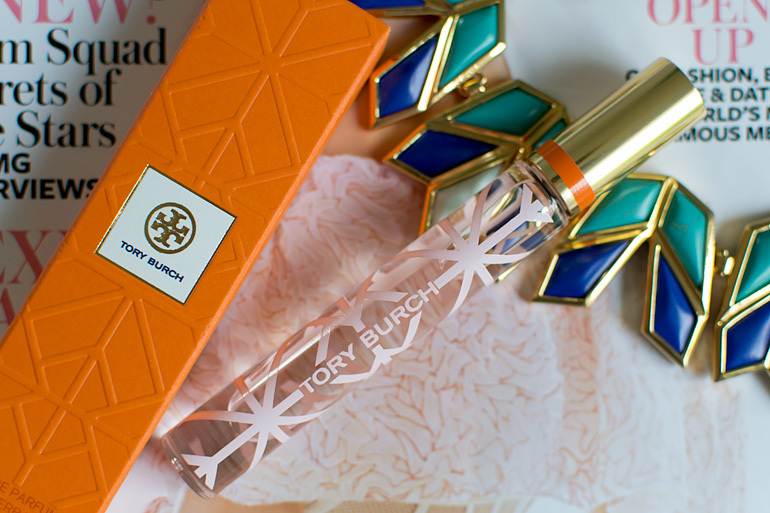 We leave for Belgium this Thursday and I’m hopeful that Tory Burch’s signature fragrance brings back fond memories long after we plant our feet back on American soil.